Eds. 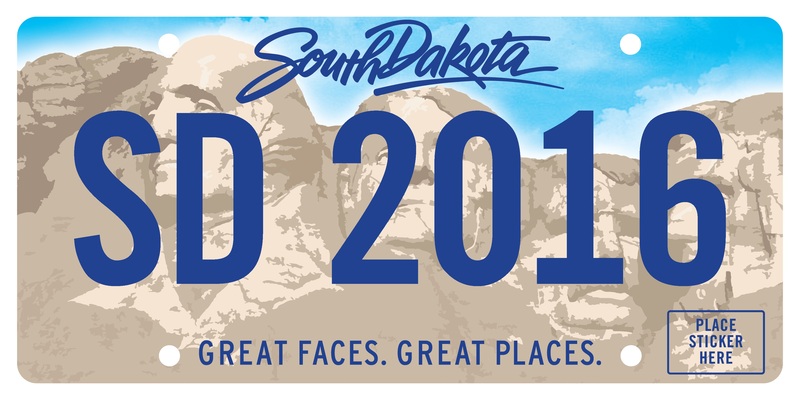 : An image of the new South Dakota License plate design is attached to this release. PIERRE, S.D. 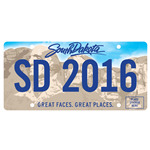 -- An image of the new license plate design for the 2016 South Dakota license plate reissue was unveiled today. The current plate design has identified South Dakota motor vehicles since 2006. Many existing plates are succumbing to age, damage and loss of reflectivity, all of which can create readability problems. The design was a cooperative effort led by Gov. Daugaard, the Department of Revenue Motor Vehicle Division and the South Dakota Department of Tourism and reflects a partnership in promoting South Dakota. The new license plates will be issued beginning Jan. 1, 2016. The license plate reissue contract was awarded to Intellectual Technology, Inc., (ITI) from Fort Wayne, Ind., through a March 2015 request for proposal (RFP) issued by the Motor Vehicle Division. The RFP requested assistance to the Motor Vehicles Division with the implementation of a plate on demand system. ITI will oversee plate production along with servicing a fulfillment center in Brandon, S.D., to control quality, manage inventory and distribute license plates and annual vehicle registration cards through an on-demand system. The plate on-demand system will reduce material waste while providing a higher level of customer service. The new plate design will not be available until Jan. 1, 2016 and can be acquired during a regular vehicle registration renewal period from several convenient methods: local county treasurer’s office, self-service terminals (SSTs) throughout the state, and from the Motor Vehicle customer portal at https://MySDCars.sd.gov.